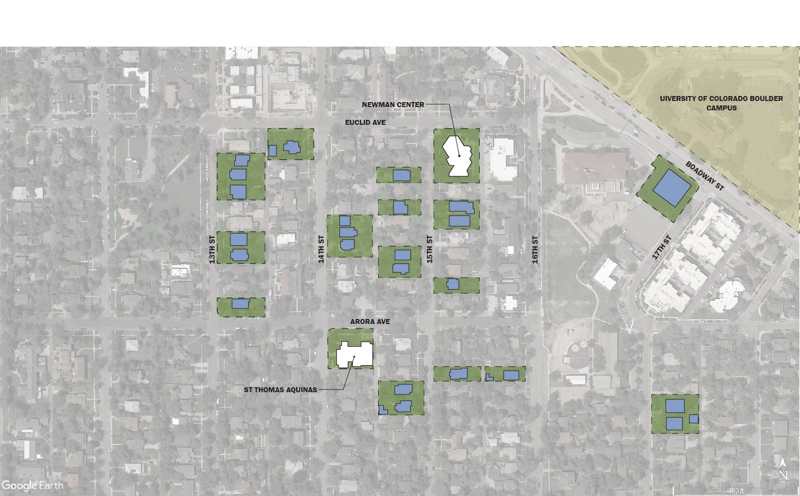 This project focuses on providing student housing across a mixture of single-family and multi-family residential units surrounding St. Thomas Aquinas Church and campus town. An underutilized commercial building on Broadway Street will be redeveloped into a women’s health clinic directly across from the University of Colorado campus. Coordinated programming across these components in conjunction with the existing ministries of St. Thomas Aquinas allows for expanded interaction with the more than 34,000 students attending the University of Colorado.